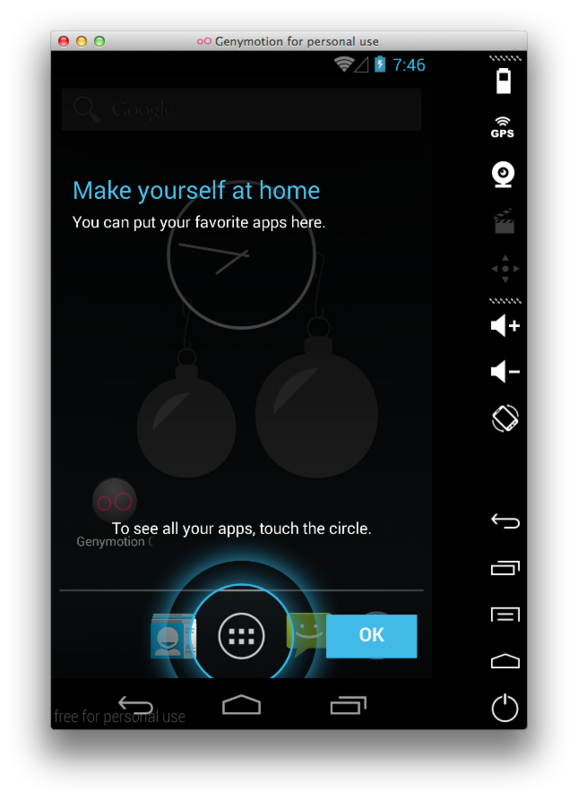 Genymotion is an Android emulator, according to them, the faster Android emulator. Genymotion creates a virtual image of Android and it is available for Windows, Linux and Mac OS X.
Download and install Oracle VirtualBox. This is necessary only for MacOS systems, otherwise VirtualBox is bundled with the Genymotion installer. 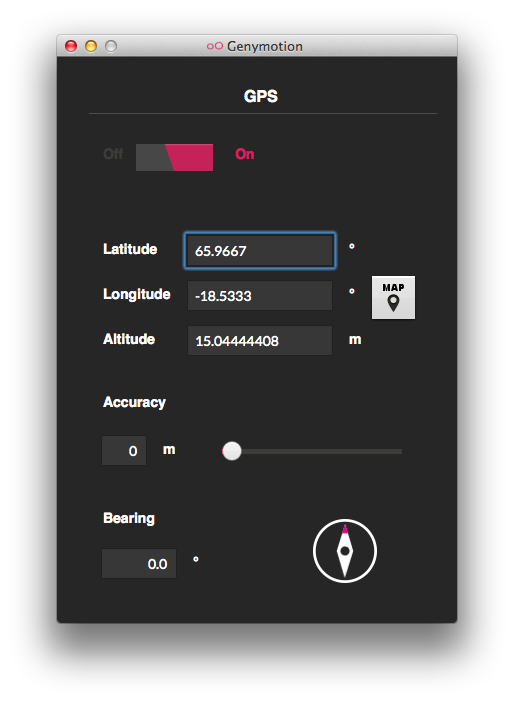 Download and install Genymotion. You need to register first. 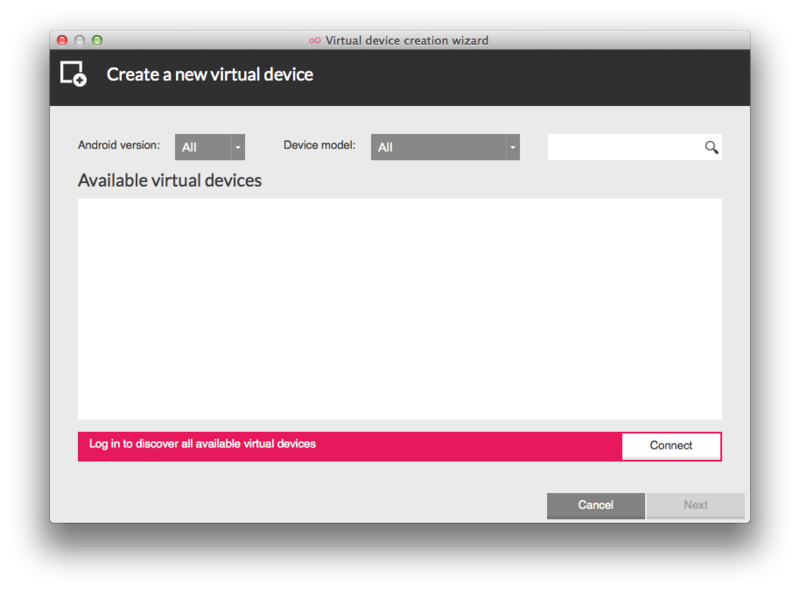 Launch Genymotion and click on the option to create a new virtual device. The following screen is shown. Click on the “Connect” button and log in using your Genymotion account. The full list of available devices is loaded. You can unfold each device to explore its features and the detailed specification. 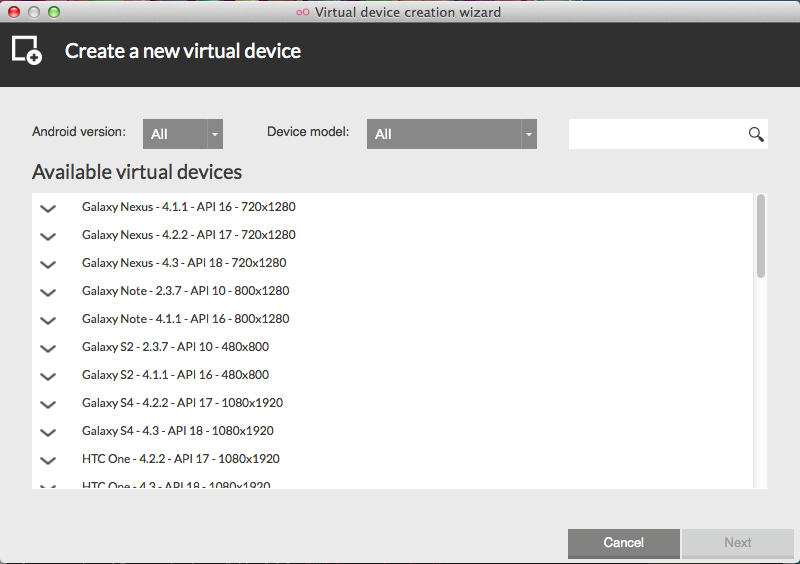 Open the configuration when the virtual device is created. 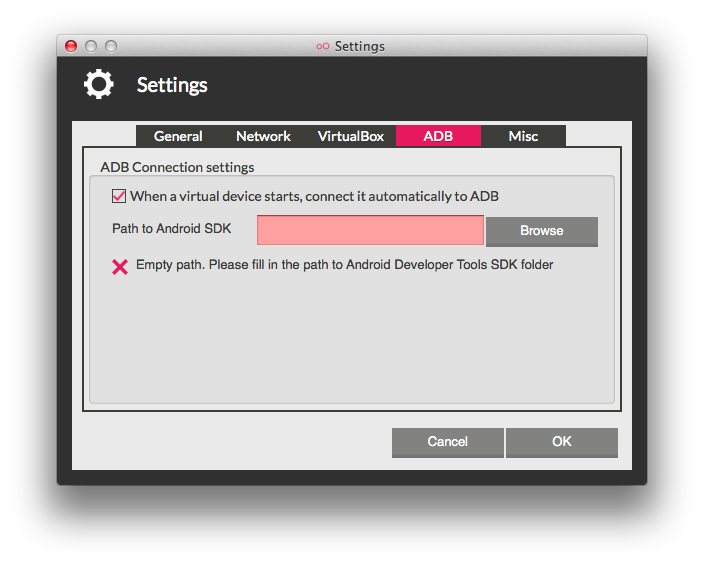 Click on the “Settings” option and check if the Android ADB is correctly selected. We have to indicate the path in our system that contains the Android SDK. Run the virtual device, which will be loaded in less than a minute. On the right edge of the emulator, we can change the device characteristics: battery life, GPS, orientation or camera. Finally, just open a project in Android Studio or Eclipse and try to run it. You will note that the virtual device is listed in the available running devices. 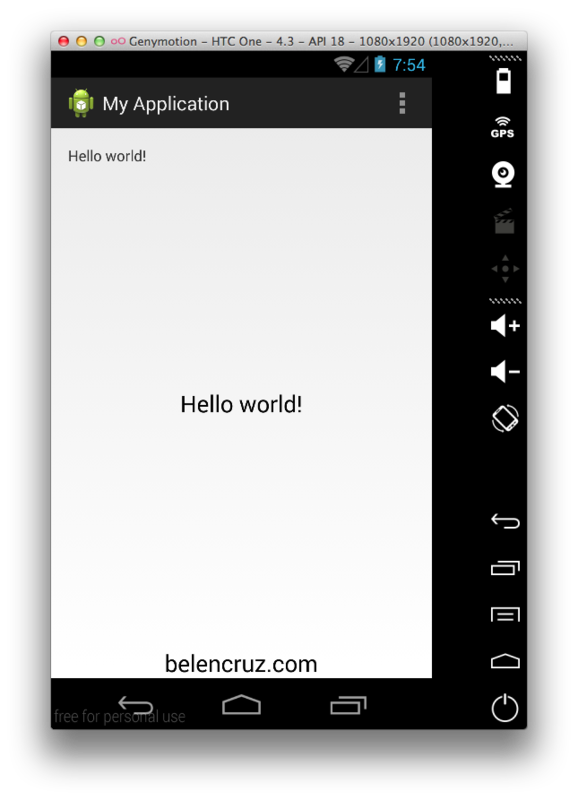 We don’t need any plug-in or any configuration to run an Android project from Android Studio or Eclipse using the Genymotion emulator.